Golden Arrows have suffered their first defeat under the leadership of Steve Khompela against Supersport United at the Sugar Ray Xulu stadium. The visitors opened the scoring through Evans Rusike, who scored after being set-up by Aubrey Modiba in the 27th minute. 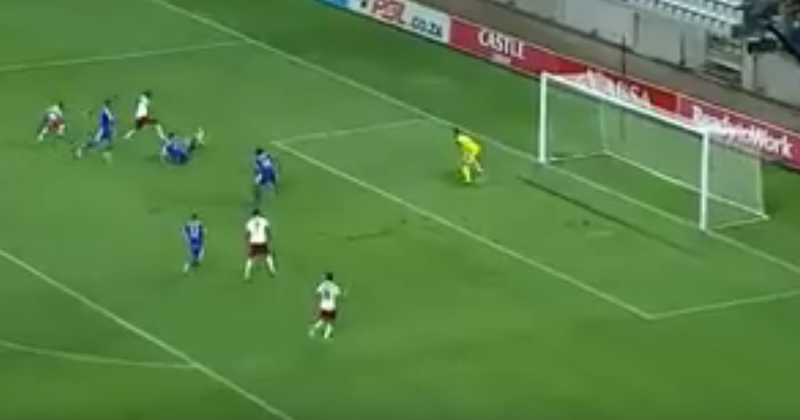 It was soon 2-0 to SuperSport two minutes later with Teboho Mokoena setting up Mxolisi Macuphu, who scored on debut. Arrows came back an improved side after the half-time break and they managed to pull one back just before the hour-mark. The hosts were awarded a penalty after Lerato Lamola was fouled in the SuperSport box and Knox Mutizwa scored from the spot-kick. The momentum was with Arrows, who then made it 2-2 in the 61st minute through promising attacker Seth Parusnath. It was end-to-end stuff in the closing stages of the game and then the moment of the match came late in the second half with Teboho Mokoena scoring the match winner with what is undoubtedly the goal of the season so far.